According to this recent SHRM survey, only 18% of companies have used social media to screen job candidates. Most cite the legal risks of screening candidates as the reason for not implementing a social-media background check. While a social-media background check may not be useful in certain instances, I can imagine many situations in which a company would benefit from checking up on candidates online before filling a job opening. Heck, consider that 89% of employers plan to use social media for recruiting this year. Two weeks ago, I was in Las Vegas at the Advanced Employment Issues Symposium, presenting on using social media to make hiring decisions. If you would like to obtain a copy of my presentation, just head on over to our Facebook fan page, “like” us, and download it. After the jump, I want to touch upon one of the hotter topics we discussed. That is, just what are those red flags that employers should be looking for should they choose to use social media to background-check job candidates? 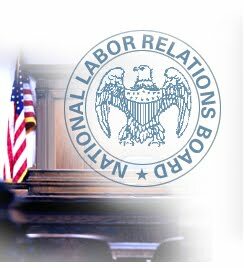 Back in September, I joked that the National Labor Relations Board (NLRB) was on the verge of disbanding. What is this? A broken record? Yesterday, I blogged about a recent NY appellate decision in which the court held that an employee who had sued her employer would have have to turn over her Facebook postings that related to the case. Can you access an ex-employee’s Facebook posts if she sues? What a whirlwind 12 months it’s been for Edith Employee! Or, should I say, Edith “former” Employee? Last year, she was an employee for ABC Company. This year, she is suing ABC for sexual harassment. Among other things, Edith claims damages for physical and psychological injuries, including the inability to work, anxiety, post-traumatic stress disorder, and the loss of enjoyment of life. Can ABC do that? Will Edith have to turn over all of these records? The answer follows after the jump.. POLL: Would you fire this employee for her Facebook comments? Administrative Law Judge Ellen Bass has ruled Jennifer O’Brien, a first-grade teacher at School 21 in Paterson, New Jersey, should lose her tenured job, because of a Facebook comment she made about her students. O’Brien has been on administrative leave since March, which is when she posted her status update saying “I’m not a teacher — I’m a warden for future criminals!” She claimed she wrote it out of exasperation after several students disrupted her lessons, one pupil hit her, and another stole money from her. Do you have a unionized workforce? If you have a social-media policy, it should not expressly restrict employees’ rights to discuss terms and conditions of employment. Otherwise, you may be violating the National Labor Relations Act. And to those non-union employers who have social-media policies, don’t think for a second that you have carte blanche to control what employees say and do online. The National Labor Relations Act covers you as well.